UPMC and the University of Pittsburgh have launched an advanced genome sequencing center designed to support clinical diagnostics and research initiatives in precision medicine and immunotherapy. The UPMC Genome Center is intended to provide clinicians and researchers with access to a large-scale genomics facility that has undergone validation testing and has obtained Clinical Laboratory Improvement Amendments (CLIA) certification for conducting clinical research and diagnostics. The center’s initial activity will include sequencing the genomes of approximately 600 cancer patients now being administered immunotherapy at the UPMC Hillman Cancer Center, in order to determine the impact of genetic makeup on treatment response, as well as guide physicians in choosing the right cancer therapy for patients. 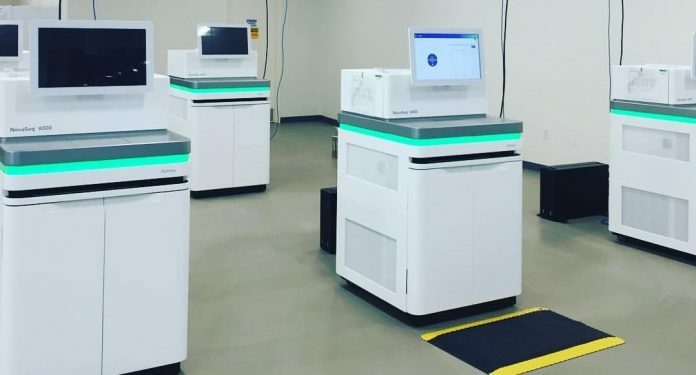 The center’s next-generation sequencing (NGS) capabilities include five Illumina NovaSeq 6000 Systems and an Illumina MiSeq Dx. Other lab resources at the center includes three Hamilton Vantage liquid handlers for automated sample preparation and processing, and three MilliporeSigma Milli-Q Direct water purification systems. The laboratory also has fully cloud-based bioinformatics capabilities. “We now can sequence a complete genome in less than 2 days and analyze it in less than two hours – a remarkable advance that not only increases the pace of basic research, but also provides a crucial advantage in the clinical setting where doctors are looking for tools to help them diagnose and treat sick patients quickly,” Annerose Berndt, Ph.D., director of the Genome Center, said in a statement. “The Genome Center provides researchers and physicians with access to a world-class genomics infrastructure that they previously had to outsource to other companies or institutions outside of this region,” Dr. Berndt added. According to the Pittsburgh Post-Gazette, the genome center was established with $20 million in funding from two research centers formed through partnerships of UPMC and Pitt— the Institute for Precision Medicine, and the UPMC Immune Transplant and Therapy Center (ITTC), created to focus on organ transplants, cancer, and aging. UPMC and Pitt investigators at the ITTC will carry out research for many of the Genome Center’s initial projects. That research is designed to support several additional programs, including examining whether rapid whole-genome sequencing can be used to diagnose critically ill infants admitted to Children’s Hospital of Pittsburgh of UPMC. Future projects for the Genome Center will leverage Pitt’s biobanking operation, which has more than half a million biological samples, the university and UPMC said. The center also hopes to work with industry partners to advance drug discovery and develop new therapies to help patients in the community and worldwide. “The Genome Center represents a significant leap forward in our research infrastructure, and will allow our scientists to conduct cutting-edge biomedical research that can eventually be translated to groundbreaking new therapies,” said Arthur Levine, M.D., Pitt’s senior vice chancellor for the health sciences, and the John and Gertrude Petersen Dean of Medicine.